Hydraulic pipe benders help you to create accurate bends. These hydraulic-powered, bending tools provide you with different pipe shoes so that you can produce electrical conduits or metal pipes that are bent to the specific angles you require. The 85 lb., Torin hydraulic pipe bender is a solid option- It is designed for 1/2" to 2" diameter pipes, includes 6 caster shoes, will bend nearly all styles (but not conduit), and can perform 90° bends. Users write about using it on the exo-skeleton cage of vehicles, for roll-bars, motorcycle exhaust tubing and for other specialty bending purposes. There are certainly more expensive options out there if you are looking to purchase a hydraulic metal tube bender, but these handy tools can do in a pinch. Let's take a look at five the best-selling hydraulic benders on the market today and see how they compare. The Torin 12 Ton Pipe bender is a good value choice for those looking for a solid performer for binding most types of pipe except conduit. Most users of the Torin T31202 appreciated the build quality and simple operation of the unit. Some users, however, found the Torin to take a bit more time to get accustomed to, and said that it did not perform as flawlessly as other more expensive options. In general, the Torin 12 ton pipe bender is a good choice for those on a budget. 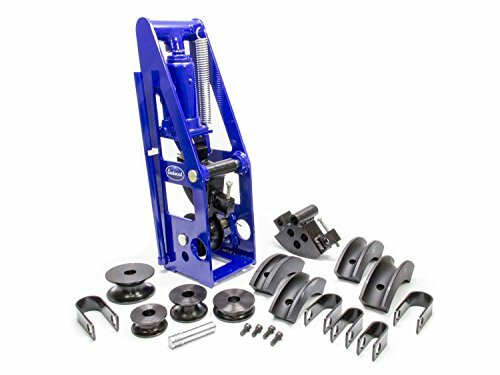 A majority of buyers found the Torin 12 Ton pipe bender to be a solid choice in large part due to it adjusting top roller, six cast iron shoes, and ½ inch-2 inch diameter pipe. The result is a well-built piece that according to one user requires some to determine how to best achieve the desired bend angles. On the other hand, another user found the pipe bender had a tendency to leave indentations on his pipes after using the Torin 12 ton bender. For the most part, users of the Torin T31202 found it to be a good, cost-effective option. The Goplus 12 ton heavy duty hydraulic pipe bender is a solid performer for those looking for a well-built tool that is able to handle a variety of pipe bending jobs. Most users of the Goplus 12 Ton Pipe bender appreciated the high-level build quality and the assortment of dies included with the unit. Other buyers, however, thought that the Goplus had some shortcomings- specifically the build quality, which could result in a safety hazard. All in all, the Goplus Pipe bender with 6 dies is a good choice for anyone looking for a solid performer that can tackle a number of jobs. Most users of the Goplus heavy duty hydraulic pipe bender appreciate the heavy duty steel frame, six precision cast dies that are included, and the fact that the bending bars can be easily adjusted. On the other hand, some users said the dies had sharp edges and that the pipe bender may not give the perfect radius of different lengths. In general, users found the Goplus to be a very good choice for a variety of pipe bending needs. The XtremepowerUS 16 ton hydraulic & manual bender is a high-quality performer that is able to take on most bending tasks according to its users. 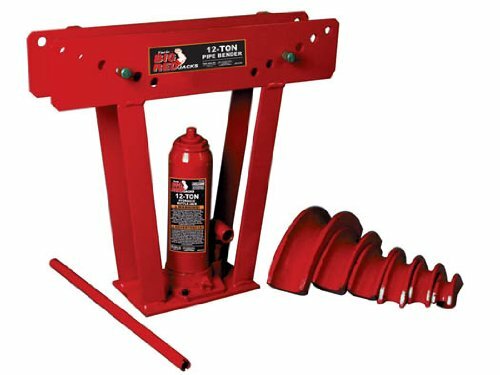 Buyers of the XtrempowerUS manual bender praised the unit for its ability to tackle most common pipe bending jobs in industrial environments given its ability to bend ½” to 3” thick round or square solid rods. 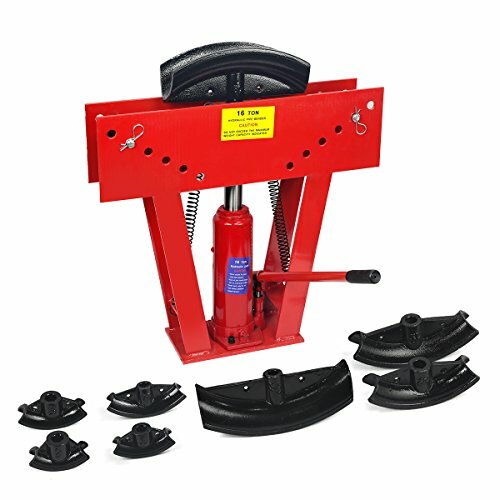 The XtremepowerUS 16 ton hydraulic manual pipe bender is a heavy-duty tool that is useful for most bending applications. 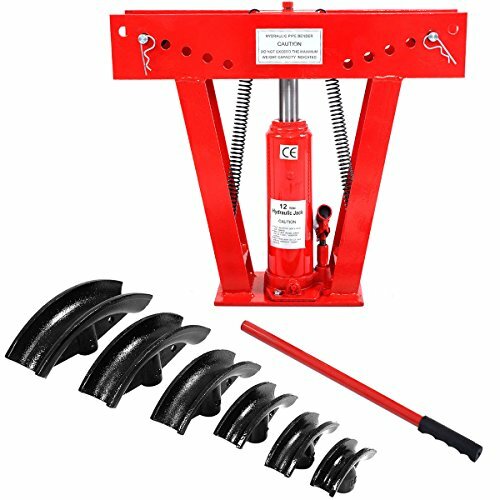 Most reviewers of the XtrempowerUS 16 ton hydraulic manual bender to be a high performer and praised its package of 8 precision cast dies and bending bars which can be adjusted from 8-½” to 27”. In addition, one purchaser found the customer service to be top notch when he was sent the wrong size shoe. Given the capabilities of the XtremepowerUS heavy duty bender, this is a sensible choice for those looking for a well-built bending tool. 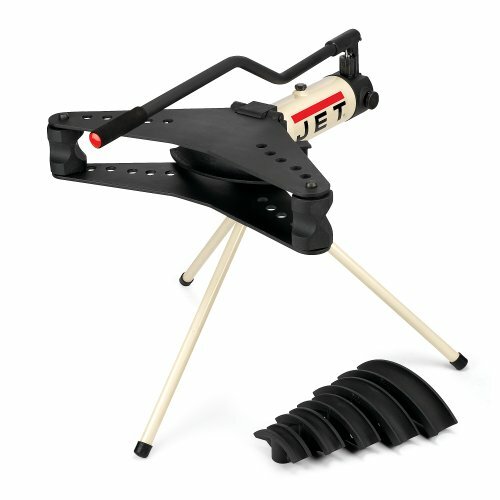 The JET JHPB 2-Inch manual hydraulic pipe bender is a proven performer for a professional looking for a well-built and dependable bender. Most users found the JET 20 2-Inch manual bender to be solidly built and capable of producing precise bends due to its heavy-duty hydraulic cylinder and simple manual operations. However, one user found the fit and finish to be not quite as polished as he hoped for. All in all, the JET 2-Inch manual hydraulic bender is a capable and proven tool that can be used for a variety of applications. Most users are pleased with the JET manual hydraulic bender because of its precision-cutting ability, the six bending dies that are included, and the fact that it has a rotating stand that provides stability during operation. One reviewer observed that the shoes have a longer curve, enabling the machine to produce 90-degree bends that come out even and smooth. One other buyer, however, complained that the castings are rough and may damage aluminum. In general, the JET bender is an excellent choice for most bending applications. The Eastwood Hydraulic Metal Tubing Bender is a solid, but not great, tube forming tool. Most users liked the hydraulic operation and consistent bend results that are due to its solid die shoes that are included with the unit. However, other users found it to be a bit limited for some applications and found some of the components to be lacking during operation. Overall, the Eastwood Hydraulic tubing bender and tube forming tool is a decent performer that delivers good value. Most reviewers appreciated the value and customer service provided by the Eastwood tubing bender while acknowledging that it is not suited for jobs performed by much more industrial & expensive units. Some users discovered the Eastwood to be incapable of bending anything over 1 inch past 60 degrees but acknowledge this to be a capability usually reserved for much pricier machines. In addition, another user found the retention strap to be too large for some bends, requiring the use of a spacer. Even so, the Eastwood Hydraulic bender is a solid option for those with limited needs. As we have seen, people purchase these hydraulic benders for a variety of different applications. Whether they are working on vehicles or plumbing jobs, bending is an important aspect of working with any type of piping project. Many users say that tube bending has evolved significantly over time, but basically boils down to the type of material you're working with, the pipe bending machine you are using and the lubrication employed. Generally pipes are identified and specified by their different nominal sizes- and when you are purchasing one of these bending machines, it's important to examine the different variables: the outside diameter, the wall thickness and the centerline radius. Different pipes have different wall thicknesses- and as a result have different levels of tolerance that need to be accounted for when you begin bending. The tubes will often spring back after they have undergone bending, this style of been referred to as radial growth. 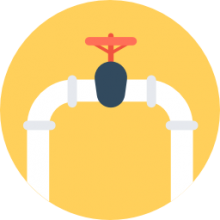 It's commonly accepted that the harder the pipe is that you are working with the more likely that the bend's centerline radius will be smaller. Sometimes elongation will occur during the bending process- and this describes when the outside radius begins to stretch, which will produce wall thinning. Ovality is another byproduct- which describes a cross-section's distortion from its initial round shape. There are some different styles of bending that you should be familiar with: there is the ram-type bending, roll bending, rotary draw bending as well as compression bending. Indeed, modern hydraulic options make it easier to control the bending process, allowing for precise bands on a variety of different metal materials, but it is still very much an art form to get right.